The Wiltern is proud to present the very best in entertainment, and this event is no exception! THE UK ROCKERS ARE BACK – Kasabian are full of anthems and this year they are returning to the live stages for an unforgettable night! North American fans will be lucky enough to be able to catch the sensational Kasabian on Saturday 23rd September 2017 – it's going to be one to remember! Known for their chart topping successes such as; Fire, Club Foot, Empire and their most recent, You're in Love With a Pyscho! Tickets on sale NOW! 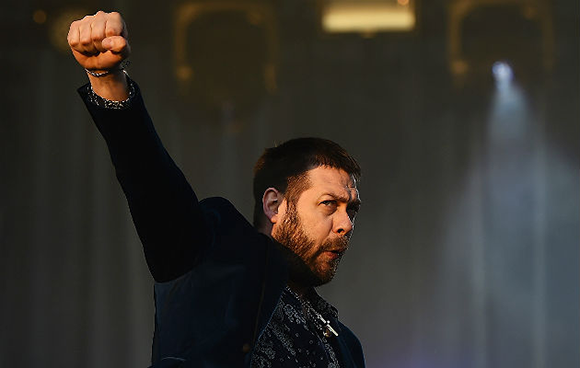 English rockers, Kasabian aka; Tom Meighan, Sergio Pizzorno, Chris Karloff and Chris Edwards, have been majorly touring across the world ever since their first debut on the music scene! With countless awards under their belts from the get go, it was pretty clear to see that these guys would be around for a while! Kasabian won the Q Awards for 'Best Act in the World Today', while they were also named "Best Live Act" at the 2014 Q Awards and the 2007 NME Awards. On paper they would seem like a classic indie back, but they consider themselves to be an anti-indie group and live / on record, they definitely have their own individual sound. A mix between The Stone Roses, Primal Scream and a hint of Oasis. Kasabian are edgy, hard hitting and full belting – a perfect act for the biggest arenas and major festival crowds, such as their headline show back in 2014 at the UK's, Glastonbury!